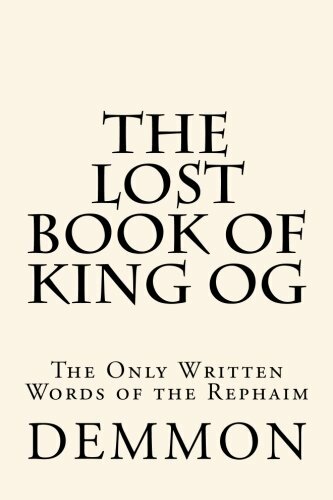 The Catholic suppression of this text has always been due to the fact that THE BOOK OF KING OG is a pagan book. The pagan/blasphemous aspects of the tome (a championing of the uncircumcised for example) make its “burial” by the Catholic Church completely logical. Soaked in Baal worship and child-sacrifice, it is no wonder that the book had been silenced. The Catholic argument that the decision to rid the earth of the text was “God-inspired,” is in fact, spiritually sound. With Constantine’s systematic destruction of non-Christian texts in and around 326 CE, and the following Gelasian Decree of the 5th century CE, knowledge and/or reproduction of Og’s verses was rendered impossible. "… and whatever disciples of heresy and of the heretics or schismatics, whose names we have scarcely preserved, have taught or compiled, we declare to be not merely rejected but excluded from the whole Roman catholic and apostolic church, and its authors and their adherents to be damned in the inextricable shackles of anathema for ever [sic]."